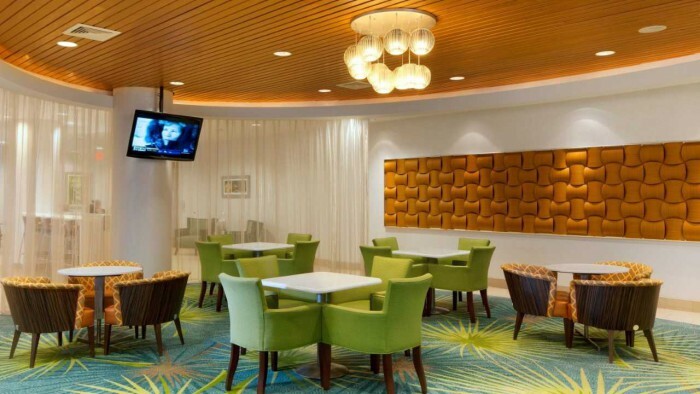 The SpringHill Suites Miami Downtown/Medical Center is a stylish and intelligently designed all suite-hotel near Jackson Memorial Hospital. Its ideal location, minutes from downtown Miami, makes travel a breeze. The hotel is walking distance to the University of Miami Health System and Jackson Health System. It is also just a short drive from American Airlines Arena, Miami Marlins Park, Adrienne Arsht Center, and the Port of Miami. Its spacious suites are 25% larger than comparably priced rooms, offering unexpected luxuries such as a mini-refrigerator and microwave. Before heading out, join them for a complimentary hot breakfast each morning with fresh options. Participants of Osher conferences and programs receive a year-round discount on booking rates.